For three years, aspiring first-home buyers Freddy Grant and Burton Reynolds attended auction after auction - only to be outbid every time. 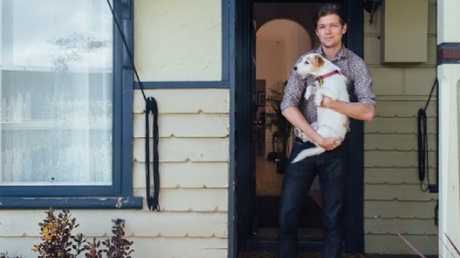 Despite a combined income of more than $180,000 and with a $100,000 deposit saved up, Mr Grant said the journey to become homeowners had been a long and demoralising one. 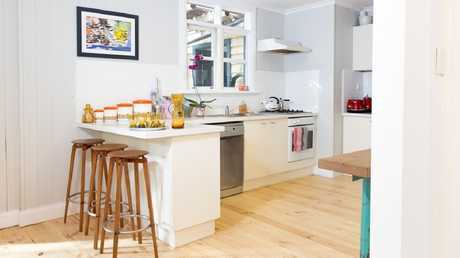 The couple, from Footscray, eventually managed to find their dream home in the inner west Melbourne suburb last year. 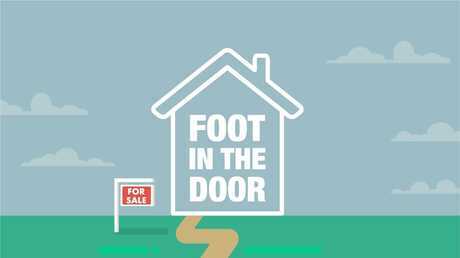 Welcome to Foot in the Door, news.com.au’s new series on first-home buyers. They bought their house for "bang on" the median house price in the suburb, which realestate.com.au estimates to be $905,000 for a three-bedroom home. But Mr Grant, 33, told news.com.au the three-year process had been a struggle. "We were looking for a long time, starting to feel home ownership was out of reach," he said. "Every auction we went to where the estimates were in our price range rocketed out of budget with the first bid. 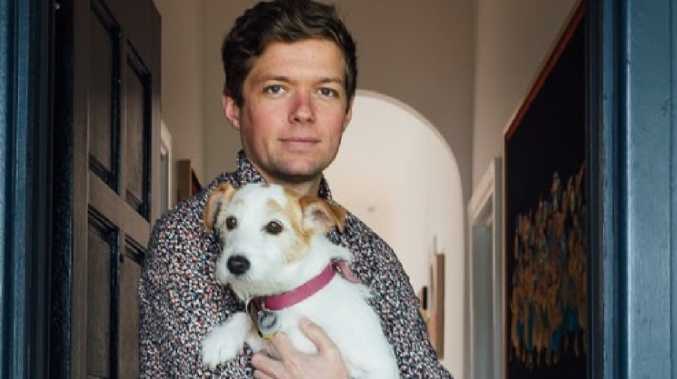 "It was really deflating during the three years we were looking when house prices were growing at record rates." Mr Grant said he and his husband also battled against underquoting and soaring property prices. "Every few months you had to rethink what you could afford and how stretched you were prepared to be," he said. "You would start to know other people's budgets and if you saw them at the same auction, you'd know straight away you had no chance. 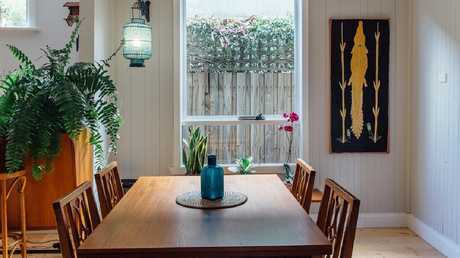 "You'd go to a house in North Fitzroy advertised between $700,000-$800,000 and the first bid would be over a million. It was crazy how underquoted the listings were." When the offer they made on their three-bedroom, one-bathroom home was finally accepted, Mr Grant said it felt like a "miracle". 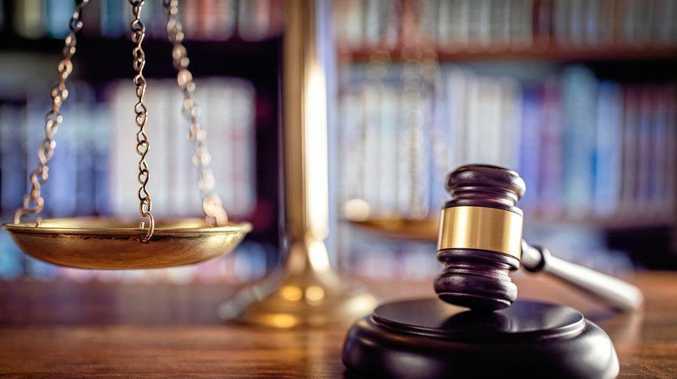 However, Mr Grant, who works in PR at Bluethumb online art gallery, said he and his lawyer husband had followed a strict saving strategy that paid off. The pair, who previously lived in Darwin and were originally saving for an apartment before realising they would prefer to buy a house, saved almost all of Mr Grant's wages. They used 31-year-old Mr Reynolds' salary to pay the bills and for everyday expenses - a tactic they still use now to pay their mortgage. And they were also careful to avoid seemingly small expenses that add up over time. "If you're a committed couple, share your finances 100 per cent and try to save one of your wages. You're a team and have a huge advantage. It's amazing how changing your mindset about how much money you have to play with changes your behaviour," Mr Grant said. "It's also easy to share lots of other things, like meals when you go out. "And if you live within an hour walking distance, walk to work. It's great exercise and saves a lot on public transport." Mr Grant and Mr Reynolds also cooked at home and shopped for the week ahead while saving for their house, and learned to embrace second-hand shopping. 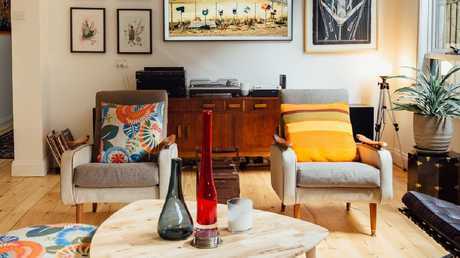 "There's a huge expense in kitting a house out, but if you shop second-hand, it's not only much cheaper, it's better quality and stylish," Mr Grant said. "These things have lasted years for a reason and luckily, mid-century will always be cool apparently. "If you do need to buy something new, buy quality that will last, online and direct … The high street is so often overpriced and there's an online marketplace for everything these days." The couple also put down a 20 per cent deposit, meaning they were able to avoid paying lender's mortgage insurance. Finally, Mr Grant told potential first-home buyers not to give up. "We went to so many inspections and auctions. If you're flexible and have a pretty good but realistic idea of what you're looking for and can afford, one day it will be your lucky day," he said. "The market has cooled so much now that making an offer before the auction is back to being very normal. "When we bought, it was still almost impossible to find someone who wouldn't go to auction and we were outbid at every auction we were prepared to bid at."